Hanoi (VNS/VNA) - The Prime Minister, the Government and enterprises want ministries and agencies to carry out practical reforms, particularly those removing unnecessary administrative procedures, to create a better business climate in agriculture, a Government official said. Minister-Chairman of the Government Office Mai Tien Dung, who is also head of the Prime Minister’s working group, made the statement on April 1 at a meeting with ministries to address issues in agricultural production and trade. 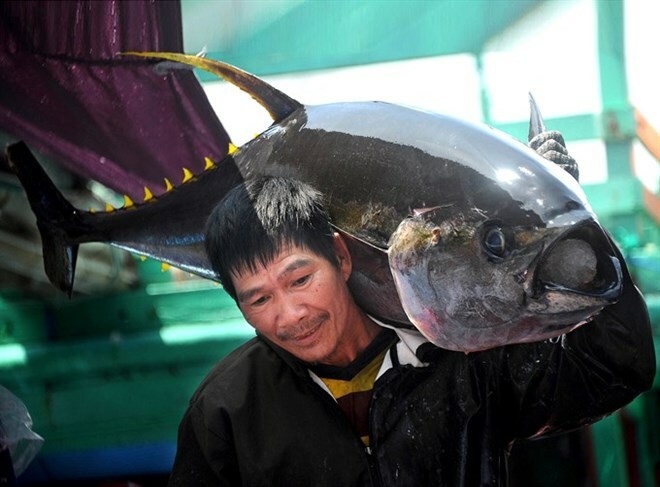 According to the Vietnam Association of Seafood Exporters and Producers (VASEP), under Circular 21 issued last year by the Ministry of Agriculture and Rural Development, only 47 fishing ports across Vietnam are qualified to certify the origin of aquatic products out of a total 83 fishing ports in the country. As dozens of fishing ports are unable to grant certificates of origin, about 5,400 tonnes of aquatic products are stuck at the ports, unable to reach the market, according to VASEP. Another circular issued last year by the Ministry – Circular 36 – requires aquatic products from transit ports to Vietnam to be certified by authorities of the countries where the transit ports are based. The importers must show a copy of the certificate to Vietnamese authorities, which, according to VASEP, is unnecessary and slows the movement of imported aquaculture goods. At the meeting, the health ministry was criticised for being too slow in amending a regulation in Government Decree 09/2016/ND-CP which requires the use of iodised salt in food processing. The issue of iodised salt in food processing was discussed in 2016 but, until now, the health ministry has not solved the issue, Dung said, adding that the ministry was too slow. “Ministries must concentrate on addressing policy problems, speeding up administrative reforms in order to remove barriers for business and help them reduce production costs,” Dung said.